Whether you’re a blonde or brunette, embrace the fall season’s warm tones and low-maintenance approach with Redken’s NEW Sombre, a professional color technique that blends brunette and blonde tones together to create a low-contrast “soft ombre” effect. To help colorists achieve the fresh Sombre look, Redken has launched two new Mocha shades into Redken Chromatics. Inspired by hot chocolate, Chromatics Mocha 6M features warmer tones that perfectly complement golden skin tones and are best-suited for medium to lighter bases. Chromatics Mocha 4M provides rich, deep chocolate tones with a hint of red, and is ideal on dark and medium bases. 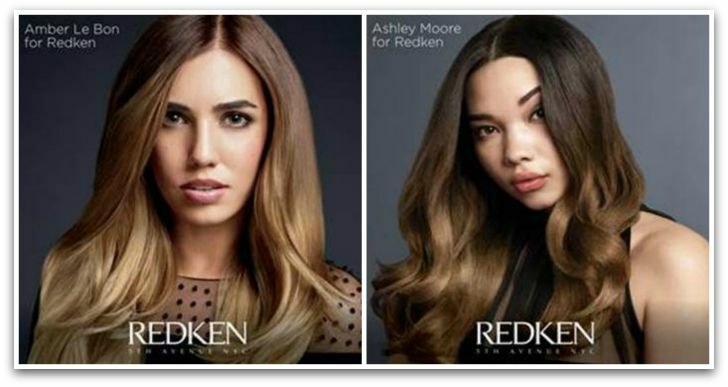 As muses for Redken’s Sombre campaign, model and DJ Amber Le Bon and model Ashley Moore showcase two Caramel Sombre and Mocha Sombre looks and inspire those looking to refresh their ombre look. To locate a Redken salon near you and try the new Sombre look, visit Redken SalonFinder. Following your salon service, maintain your beautiful color at home with Redken’s Color Extend Magnetics haircare system for guaranteed longer-lasting color.